Igor Paploski is currently an interdependent researcher. He earned his DVM from Federal University of Paraná, in southern Brazil; he worked with zoonosis prevention, especially with the prevention of rabies transmitted by bats in human populations. 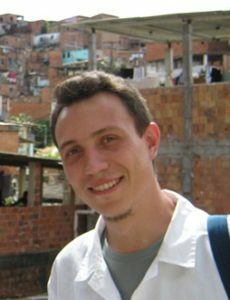 He started his MSc in Epidemiology at FIOCRUZ in early 2011, where he studied the risk for clinical progression of leptospirosis in an urban slum. He earned his MSc degree in early 2013 and is now a PhD candidate in Public Health at Federal University of Bahia. Igor studied dengue and was interested in studying the epidemiology of diseases that disproportionally affect neglected populations. Igor spent his fellowship year at Fundação Oswaldo Cruz (FIOCRUZ) in Salvador, under the mentorship of Guilherme de Sousa Ribeiro, MD, MSc, PhD. His research focussed on determining the prevalence of people previously infected with dengue, determine the incidence of asymptomatic and clinical dengue infection, and to prospectively identify individual and environmental risk factors for dengue infection in epidemic and inter-epidemic periods, based on the follow-up of a cohort and a surveillance for acute febrile illness in a community health care center.